Don't feel like parking your car at the airport? Are you willing to do anything to avoid driving around trying to find a spot? Running late for your flight, and just want to leave your car and run? If you live in Düsseldorf, Germany, then you are in luck. If not, read on and be jealous. As in, Ray the Robot Parking Valet. All you need to do is swing your car into one of Ray's designated spots at Düsseldorf Airport (DUS), use the smartphone app to let Ray know (and confirm the car is empty), and walk away. Ray will do the rest. 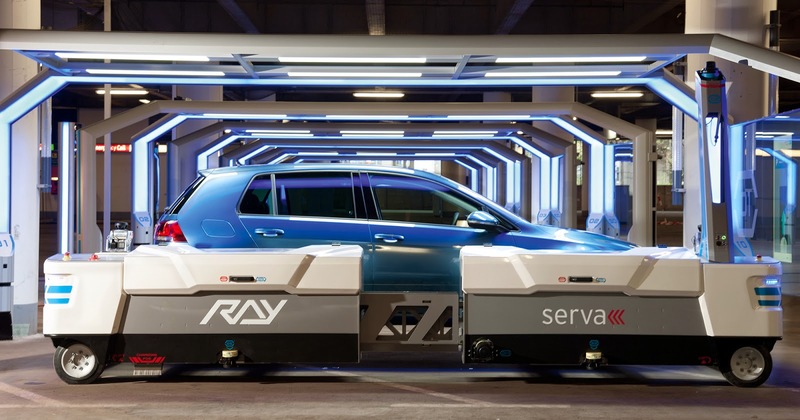 "Ray" is essentially a high-tech forklift slash valet hybrid, that moves cars from the designated drop-off spots to his own separate parking area. It's more sleek than it sounds, and cars are treated with remarkable care. 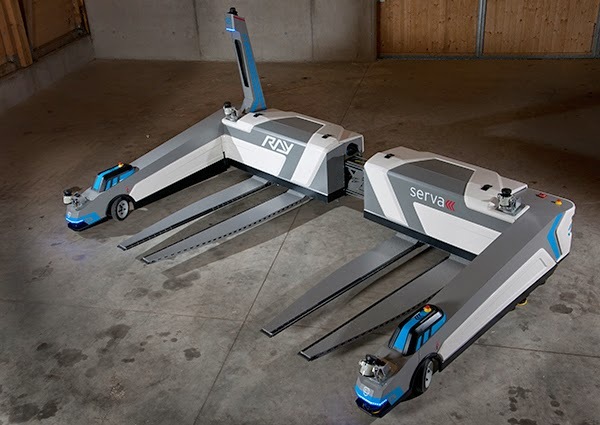 Systems are even integrated to the point that Ray will check the status of your return flight, to have your car ready for you when you collect your luggage. Travelers pay a premium for the parking service, but so far the interest is high. Who knows, maybe one of Ray's cloned brothers will take up residence in an airport near you. Why they named him Ray, we don't know... but admit that "Ray the Valet" has a nice ring to it. Watch videos of Ray in action (and brush up on your German at the same time!